Tonight Newspaper published an article, titled “Deaf Film Fest Jamming on the Mic“, featuring TIDFAF. 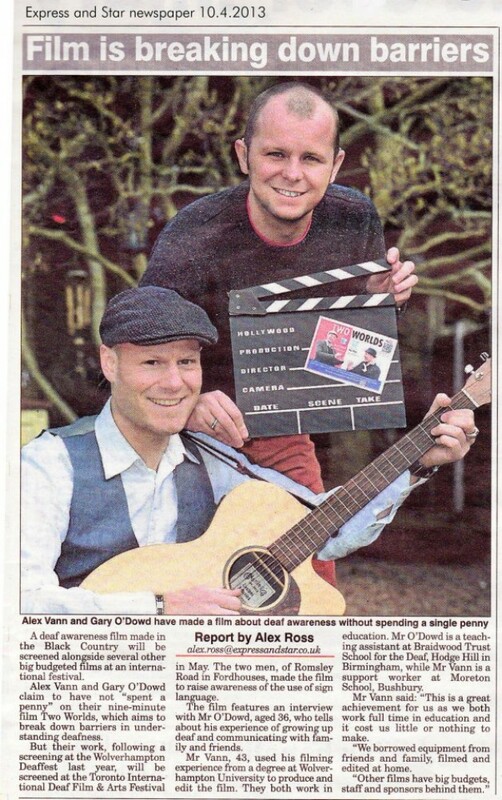 TIDFAF entrants Alex Vann and Gary O’Dowd and their film, Two Worlds, were featured in the UK newspaper, The Express and Star. Since the schedule was announced close to the early bird deadline, TIDFAF has decided to extend the early bird deadline! Check out the complete schedule by clicking here. 2013 DEAF ARTS CANADA EXHIBIT AND DEFTY AWARDS!